Talk about being an avid photographer! Whew! Here is a record breaking 360 degree panoramic view of London made from 7886 individual stills, compiled into an 80 Gigapixel photo. The entire image is 400,000 x 200,000 pixels. This panoramic photo was stitched on a Fujitsu CELSIUS workstation comprising dual 6-core CPUs, 192GB of RAM, and a 4GB graphics card. The camera was a digital SLR that used a 400 mm lens and was mounted on a robotic camera mount that seamlessly moved the camera for the photographer. The photograph was taken by photographer Jeffery Martin. Martin stood atop a 36 story building at the crossroads of Oxford Street and Tottenham Court Road over a period of three days in the summer of 2010. It captures London in its reality so you can see people on the streets and in their houses. Adhering to British law, however, faces of noticeable children are blurred out. Previous attempts at world record gigapixels include a 26-gigapixel image of Paris, a 70-gigapixel image of Budapest, a 26-gigapixel image of Dresden, and Martin’s previous record holder from 2009, an 18 gigapixel spherical image of Prague. 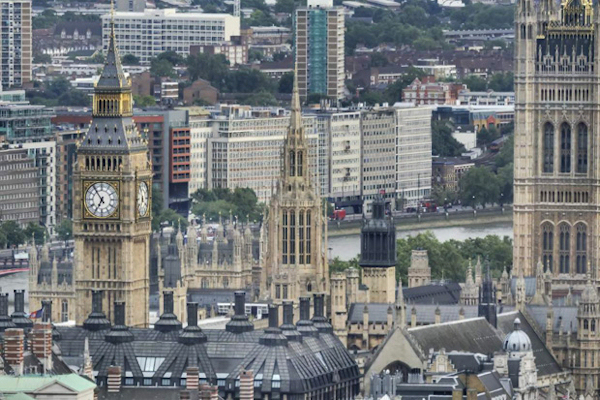 This new London gigapixel image, if printed at normal photographic resolution, would be 35 meters long and 17 meters tall (115 feet x 56 feet). The image can be seen on Martin’s site, 360cities.net. To encourage people to explore the 80-gigapixel image of London in its finest detail, 360 Cities will launch three separate contests to find and describe items or places in the photo. In the first contest the winner will receive a Fujitsu 27″ LCD monitor provided by Fujitsu Technology Solutions, computer and camera bags provided by Crumpler.com will be awarded in the second, and in the third contest, over $3000 worth of holidays will be awarded, courtesy of Intrepid Travel (intrepidtravel.com) and their subsidiary, Urban Adventures (urbanadventures.com).